Nolatet’s moniker implies their central location in the Big Easy. While that isn’t unusual, the distinction comes from members who span four generations (the oldest a septuagenarian), all bringing different facets of music to the fold. Drummer Johnny Vidacovich and bassist James Singleton have played together so long, and with legends like Professor Longhair, they’ve become known as the best rhythm section in New Orleans. Pianist Brian Haas leads the adventurous Jacob Fred Jazz Odyssey, though they technically began two states away in Oklahoma. He and vibraphonist/percussionist Mike Dillon joined forces in the Dead Kenny Gs, while Dillon has also played in Garage A Trois. Together the group incorporates everything from second-line beats to flights of freedom in a brief (30-minute) set of originals. The opening bars of “Bongo Joe” quickly reveal why Vidacovich and Singleton have earned such reverence. A crisp slapped bass and a beat straight out of a Mardi Gras parade give way to a piano line of Monk-like simplicity and verve. Behind it, Dillon colors the music further with an array of percussion, including the tabla. A similar spirit shows up in “Mellon Ball,” where Haas splays his fingers in angular dissonance across the keys, following a spirited vibes solo. The lack of a definite leader means that everyone’s personality comes across in the music. But some of the compositions could use a little more nuance or direction. Sometimes Nolatet seems content to toy with stop-start dynamics when deeper writing could have inspired them further. Or they could have just stretched out a little more on these songs. Still, “Nails” is built largely on a brief descending piano sketch, and it allows them to devolve into a strong blast of free jazz, complete with a distorted upright bassline. 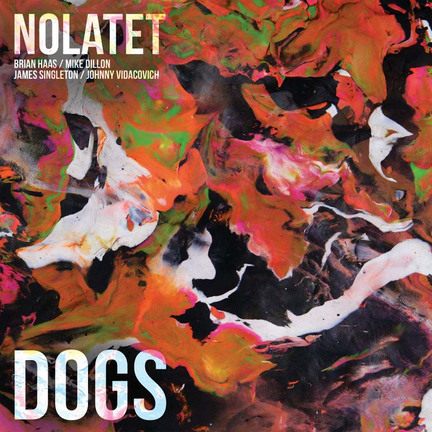 If Dillon’s array of vibes, woodblocks and tablas sounds eccentric enough in Nolatet, he ventures even further on Functioning Broke, his solo album. He overdubs vibes, marimba, timpani and an array of other percussives on what must be the most unique set of jazz interpretations yet: six compositions by the late indie singer-songwriter Elliott Smith, Neil Young’s “The Needle and the Damage Done,” a Martin Denny chestnut and four originals. The material by Smith adapts very well to the setting. His songs take on a downright dreamy texture thanks to the layers of shimmering notes, which at one point sound like they’re emanating from a Leslie speaker. If Dillon didn’t bang the bars so firmly, Young’s haunting anti-drug message might also sound like a Martin Denny track. But his attack maintains the song’s urgency rather than going for irony. Of the originals, the multi-sectioned “Bachelor Pad” is the wildest, proving that it’s possible to create exotica for modern times. The most refreshing aspect of Functioning Broke is the way that Dillon constructs dynamic songs, instead of simply adding layers of percussion on top of riffs.